Escape the monotony of life with a trendy new look and a much deserved pampering session at the Makeover Studio. 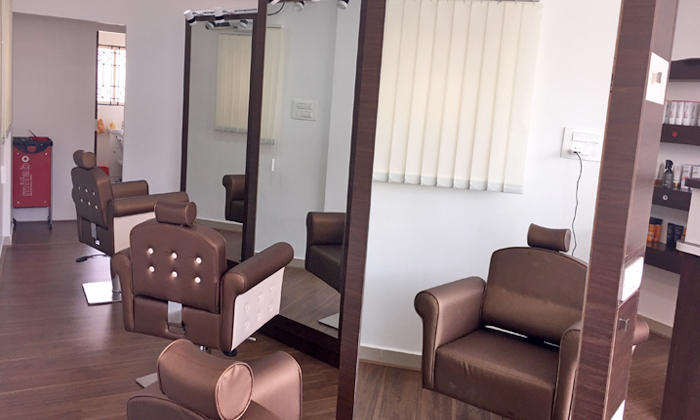 Located in Uttarahalli, Le Siesta Spa and Salon is a trendy salon that is committed to helping you find a look that that will make you feel both fashionable and comfortable. They operate in a clean and hygienic environment and use quality products to ensure the best results. The staff is friendly and they strive to ensure that customers are satisfied with every visit. Walk in to Le Siesta Spa and Salon and walk out feeling like a star.